By default, all the email folders are selected. But you can also convert selected email folders by un-checking the Outlook email folder that you don't want to convert. Now Click on "Start Conversion" button to convert Outlook PST files to several file formats. Now choose the location where you want to save the file and click on "OK" button. Outlook Conversion software creates a folders named as "Converted Outlook PST" in the saving location. If you want to convert any other PST file saved in your computer or Orphan PST file, view Guide for Orphan PST File Conversion. Easy to use interface to convert Outlook PST to msg, eml, vcard, rtf, html format. Convert Outlook PST files with all its Meta data like To, Cc, Bcc, From, Sent & Received date etc. With our product users are allowed to convert any (configured or not) Outlook PST file to msg, eml, vcard, rtf, html format. Convert Unicode & Ansi Outlook PST file to msg, eml, vcard, rtf, html format. Convert Outlook PST files of all versions MS Outlook. Works under all versions of Widows OS including Vista & 7. 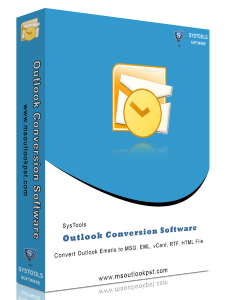 • How to Convert Outlook Files? Our Technical support team is available 24x7 for your help. Our professionals is highly proactive in answering your questions satisfactorily. Copyright 2019 © www.msoutlookpst.com | All Rights Reserved.